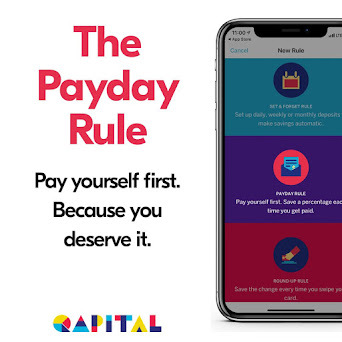 Find yourself between flights with more time to spare than you’d like? There’s only so many gift shops you can look at and you can probably only eat lunch or dinner once. What’s a weary traveler to do when getting up and doing something seems more appealing than sitting near your gate and answering endless emails or playing Candy Crush? Try wheeling your bags over to the nearest art exhibit. 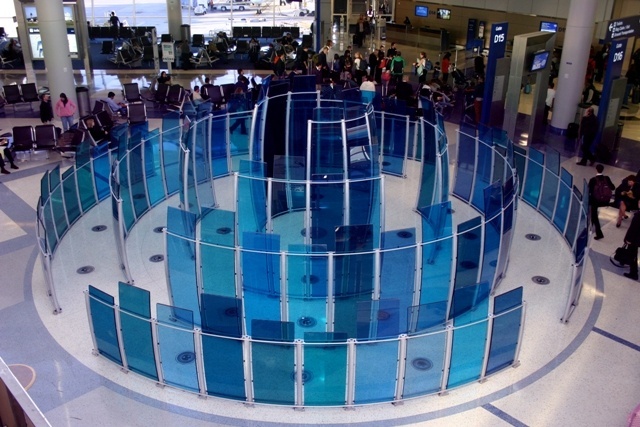 Many airports now have permanent art installations to show off local artists and expose travelers to a new view that isn’t of fast food restaurants and newsstands. 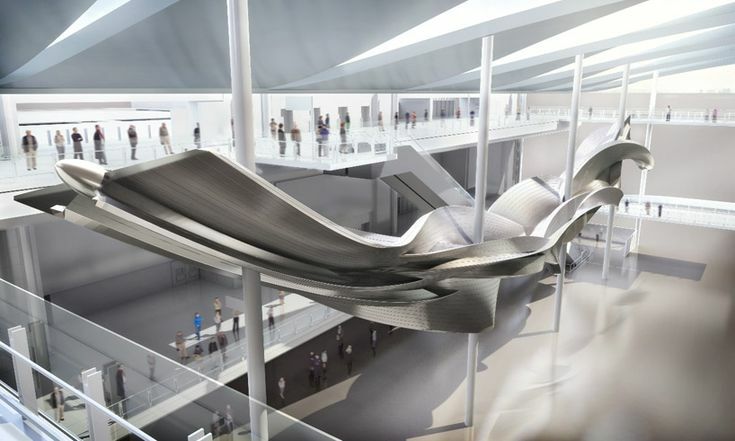 Hoping to give travelers a more unique airport experience, San Francisco International Airport features an aquarium, an aviation museum and an arts commission that includes over 60 pieces of art. You can’t possibly be too sad if your plane gets delayed there. 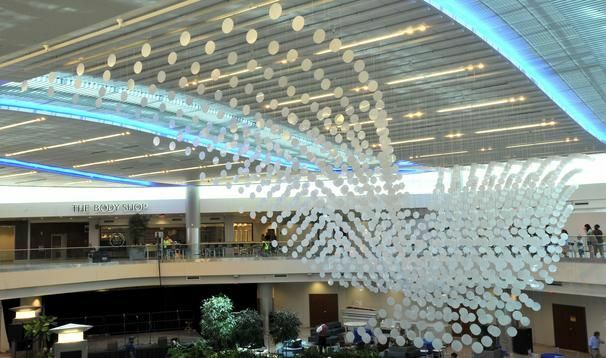 You can find eight permanent displays, including A Walk Through History of Atlanta, and rotating exhibits at the Atlanta International Airport with their airport art program. 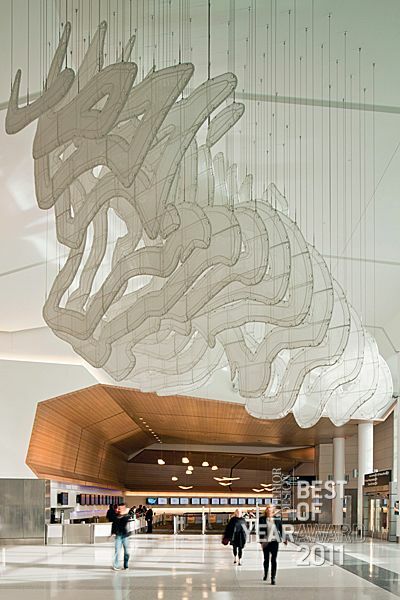 From mosaics to sculptures, you can really get lost in the creative pieces throughout each terminal. 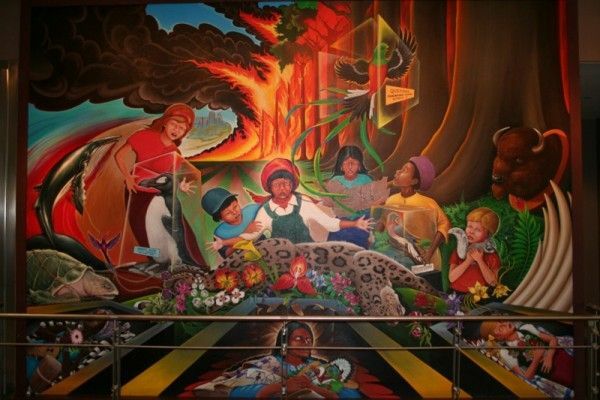 Enjoy a variety of murals, sculptures and installations at Denver International Airport along with half a dozen changing exhibits that can be anything from work by local street artists to sustainable architecture shown through miniatures. Phoenix’s Sky Harbor International Airport has one of the biggest airport museums in America. It houses over 600 pieces and is open 24 hours a day. If you find yourself stuck overnight, you may not be able to get a sandwich, but you can wander the huge art collection that features metal works, photos of the Grand Canyon and a permanent exhibit made from pipes in the rental car center. 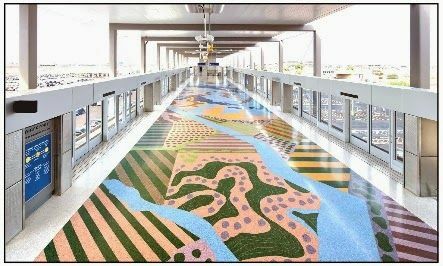 If you have time to kill at Dallas/Fort Worth International Airport, you can wander the sculpture garden or explore the art of over 30 artists throughout the airport terminals and the Skylink stations. There is even an organized walking tour with a guide who will talk about the artists and their pieces. Even international airports have amazing exhibits. Heathrow Airport in London has a fine art gallery in Terminal 5. The collections change periodically and the space is so large you would never realize you were in an airport. You don’t have to spend your layover reading a magazine or doing Sudoku. Make the most of your extra time at the airport by soaking up the culture wherever you can and getting exercise in the process. Stretching your legs will help you re-energize from your previous plane ride and interpreting what the art means to you will stimulate your brain. The best part is that it’s free entertainment! What are some of your favorite art installations from your travels?